If you love children and are interested in women’s health, perhaps a midwifery degree is the perfect choice for you. You can make a difference by bringing children into this world from anywhere on the globe. All you need is the education. Midwifes are professionals who specialize in the care of women through the entire pregnancy process. 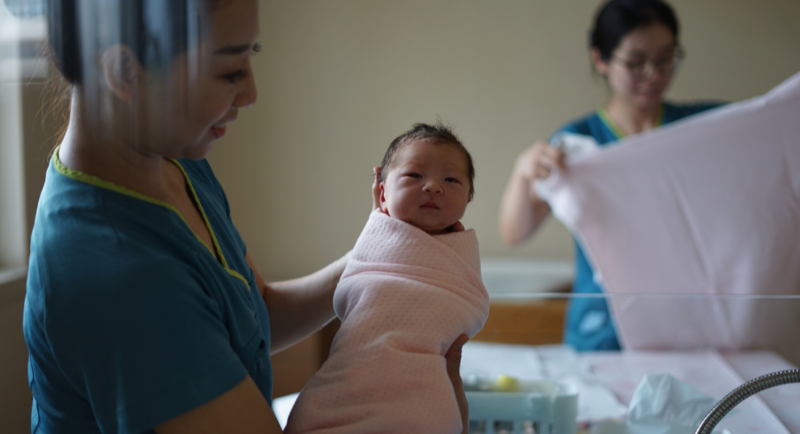 From pregnancy to labor and into the postpartum period, midwives stick by a mother’s side in order to make sure she is able to have a happy and healthy newborn baby. Midwifery, therefore, requires kind, caring individuals who have the knowledge and skills to make sure both mom and baby make it safely through the journey. A midwifery degree teaches students all the intricacies of midwifery so that they can be ready for anything in the field. Whenever there is a complication, midwives must be ready to provide care at a moment’s notice. So, the job can be quite the challenge. But, the reward is worth it. Midwifery is common throughout the world in both developed and developing countries, making it the ideal opportunity for students to study midwifery abroad. Countries everywhere are investing money into training midwives so that they can provide necessary reproductive services for their populations. That makes it a great time to join the field, especially if you want to take your dream career abroad. Go to Australia, for example, if you want a real Down-Under experience. A midwifery degree is no easy task. It requires a lot of time and energy to learn the knowledge and skills necessary to properly take care of women and their babies. Do you think you have what it takes? Consider studying at one of the best midwifery schools to gain a prestigious degree that will prepare you for any and all complications you might experience. A typical day in the life of a midwifery student begins with lectures and seminars handling a large variety of subjects, including reproductive health, anatomy and obstetrics. Due to the nature of the field, midwifery degrees also require that students gain a lot of practical experience. However, if you decide to study midwifery abroad, you can make the most of your free time by exploring the sites around your city, making international friends, or learning a new language. The main objective of a midwifery degree is to become a midwife. After graduation, midwives can work in hospitals, community centers, and women’s homes. Some midwives also go on to become nurses, physician assistants, and doctors. No matter which path your career takes, there are plenty of opportunities within the field of midwifery to get certified or pursue post-graduate work. Employers are especially happy if they can find a midwife who takes the role seriously and is constantly pursuing professional development. Employers also love when midwives have study abroad experience, as it shows that the midwife is ready to take on any challenge anywhere in the world! The best midwifery schools will often require that prospective students have demonstrated they have previously performed well in their classes, especially classes within math and science. Both undergraduate and graduate students will have to provide a copy of their academic transcripts, along with any standardized test results. International students will also have to prove their English proficiency, as many midwifery degrees are conducted entirely in English. If the program requires another language, you may also have to prove you have proficiency in a second language. An essay will also most likely be required to complete your application.